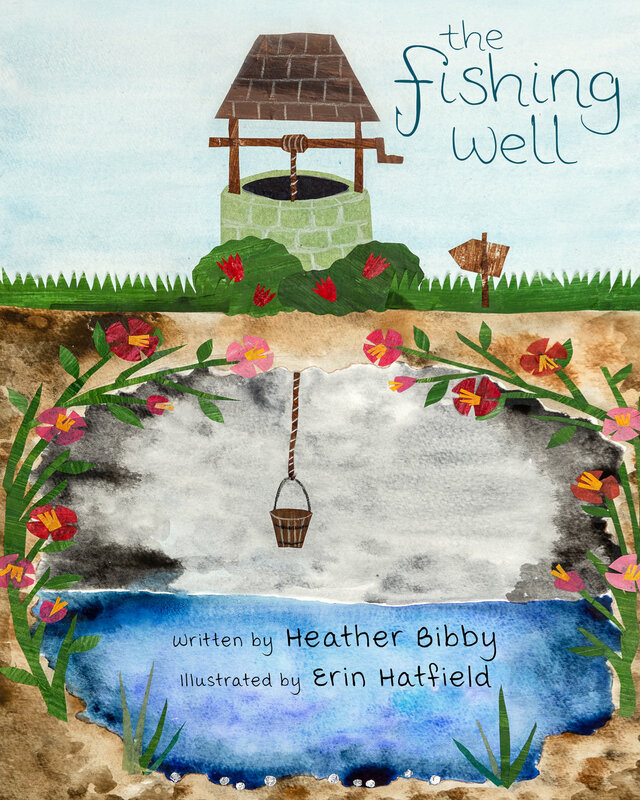 The Fishing Well is Heather Bibby’s debut children’s book and illustrated by the very lovely and incredibly talented Erin Hatfield. Readers of all ages are invited to extract layers of meaning from a well, a bucket, and some fish. This story encourages each reader to shrink their fears into a whimsical place to see them in nonthreatening ways. Self-empowerment, bravery, and persistence are themes explored through story and beautiful handcrafted illustrations of acrylic and watercolor cut paper collages.